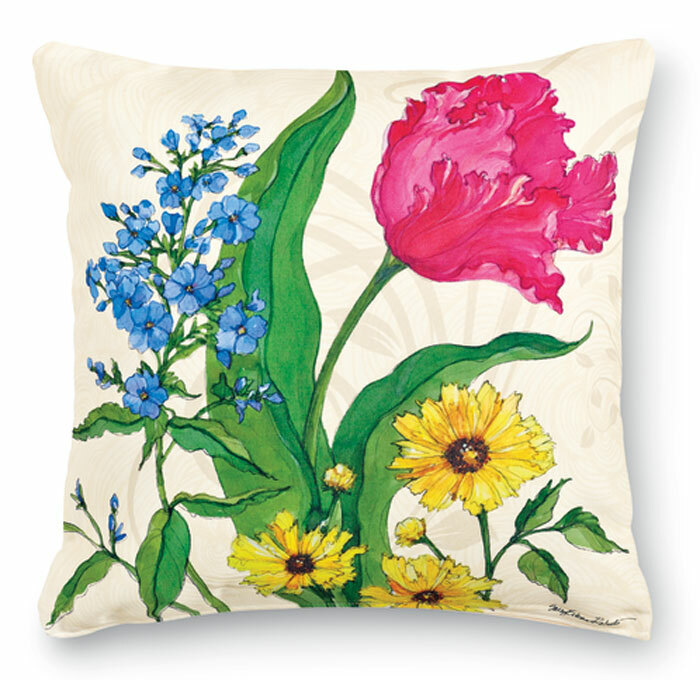 Sally Eckman Roberts provided the art for these cheerful pillows. The images are hand-printed on 100% polyester fabric that feels like cotton. 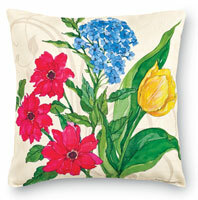 The pillows are fade-, mildew- and weather-resistant. Polyfill insert.